Local photos appearing in the Jan. 25 - Jan. 30 editions of The Goshen News. 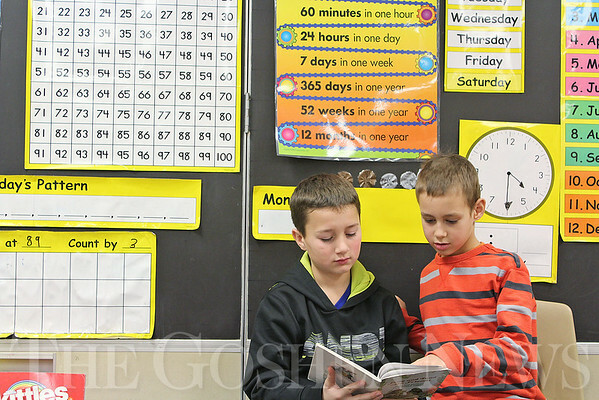 Once a week, second- and sixth-grade students at Millersburg Elementary School partner together as reading buddies. Sixth-grader Dylan Weaver and second-grader Aiden Carrington read three books together Jan. 21.